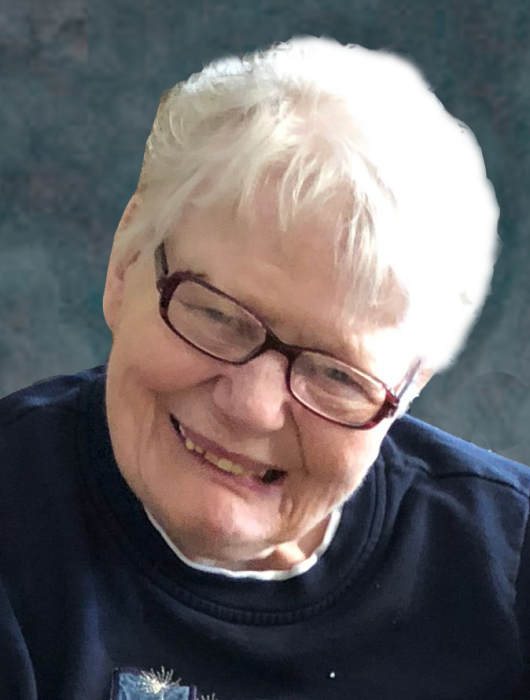 Funeral services for Lois Barsness of Morris, MN will be held Saturday, March 30, 2019 at 11:00 a.m. at Zion Lutheran Church in Morris, MN. Visitation will be one hour prior to services at the church on Saturday. Burial will be in the Glenwood Lutheran Cemetery in Glenwood, MN at a later date. Lois enjoyed doing so many different activities and so much of her time the last few years was spent engaging in them. She enjoyed listening to Disney and Gospel music as well as watching church services on TV. She liked going out to eat and daily counted her many, many, many decks of cards, stacking the decks on in numerical piles. She had a special table with an edge and wheels, so the cards wouldn’t fall off and it could be moved around. She spoke so kindly to those who helped support her. Whenever cards would drop and someone would pick them up, Lois would say, “You always just want to help me!” and she would smile. Blue was Lois’s favorite color. Her room was blue. Lois enjoyed getting dressed up, always wearing her watch (even though it wasn’t blue), and her many different clothes that were blue. She enjoyed having her nails done with her favorite blue nail polish. She was able to go and get her nails professionally done at the salon in town many, many times. Whether it was the Bible or one of her favorite books, A Cat in the Hat, Lois was always busy looking at, reading, or going through books that she enjoyed. Lois loved to read. Lois also loved cats and had so many cat themed items-purses, necklaces, and especially her cat slippers! She talked often of the cat that she had when she was younger that used the toilet and the story always made everyone laugh. Lois loved surprises and talking about the past. She often told others of the day when mother, daddy, and Eugene came and picked her up in the red car, which was a complete surprise, and they spent the day together celebrating Christmas and her birthday all together with her family. Lois just sparkled when her sister Sylvia and niece Carol would send her letters and gifts, often with many different little packages wrapped up inside the big package. She loved the books, the small figures, the cat themed anything, and whatever else that they chose to send. Sylvia called her every Sunday and Lois said often “Sylvia is so good to me”. Her family was so important to her. Lois passed away peacefully March 27, 2019 at Stevens Community Medical Center. She was surrounded by her doll, others who sang her favorite songs to her for hours, read to her the Bible and A Cat in the Hat, stroked her hair, and held her hand. Lois said she was ready to go be with Jesus and now she finally is. Lois is survived by her sister, Sylvia Fuller; niece, Carol Vasilenko; nephew, Tim Fuller; and all of her friends that were like family. She is preceded in death by her parents and her brother, Eugene. Lois died on Wednesday, March 27, 2019 at the Stevens Community Medical Center in Morris, MN. She was 84 years old.